Can you design, create and build a robot ? 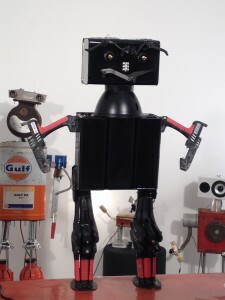 Your robot can be made from any materials and assembled by any method and in any style. You might create a static robot or a mechanical working robot able to perform a function or task – can you build the next R2-D2? 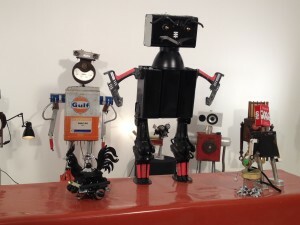 As you can see from our robot video you can make these guys from anything, we made GG from old glue guns and tin cans! It’s all about taking part, being creative and having fun. Our judge for this competition is Mark Haig from Gizmobots.co.uk take a look at Mark’s website.